For all those times when a simple taco would have said it all, the communication world has heard your cries (or texts): the taco emoji is here. 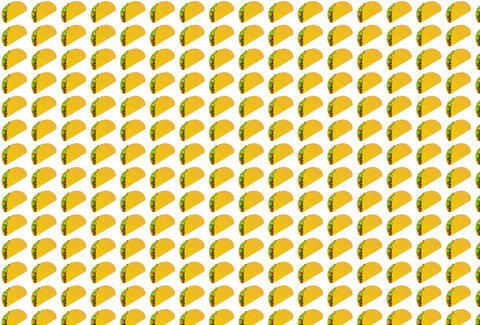 The emoji overlords at the Unicode Consortium have finally approved a taco emoji to its short list of food emoji options, along with a handful of other exciting food icons, according to Emojipedia.org. But -- and this is a big but -- we'll likely have to wait for mobile platforms like iOS, Android, and Windows to release updates that include Unicode 8.0, and the new emoji taco, which is not guaranteed. But if they know what's good for 'em, telephonic taco typography will get there soon. Because tacos are good for you? Along with the glorious taco, Unicode 8.0 includes 36 other new emojis -- including a hot dog, popcorn, cheese wedge, burrito, and even a "bottle with a popping cork." Apparently, people really love communicating in food shorthand. You can check out the full list of new emojis right here. Tony Merevick is Cities News Editor at Thrillist and hopes for a bacon, egg, and cheese emoji some day. Send news tips to news@thrillist.com and follow him on Twitter @tonymerevick.